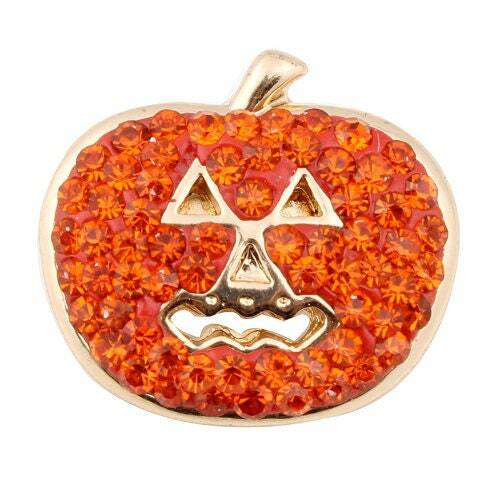 Sparkling Halloween Pumpkin Fall Themed Interchangeable 18mm Snap. These snaps are glitzy, glamourous and Stunning! Step out in style for the Halloween! Select Two and make yourself a stunning pair of earrings! These snaps are compatible with all of our base pieces as well as GingerSnaps and Magnolia and Vine base pieces. How do you wear our unique jewelry? Step 1: Select Your Base Piece.